LIVERPOOL extended their Premier League lead to nine points as Roberto Firmino's hat-trick helped Jurgen Klopp's mean thrash Arsenal. 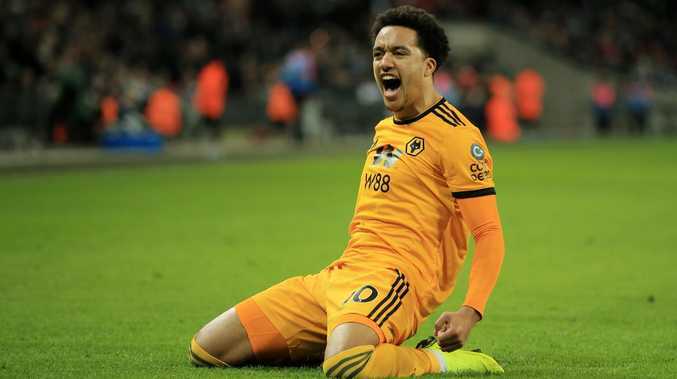 Meanwhile, Tottenham were stunned at home by Wolverhampton Wanderers, with three late second half goals putting a dent in their title challenge. Liverpool roared back from a rare Anfield deficit to move nine points clear at the top of the Premier League as Roberto Firmino's hat-trick inspired a 5-1 thrashing of Arsenal on Sunday (AEST). 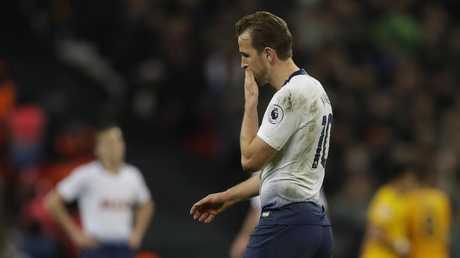 Tottenham Hotspur's title hopes have taken a hit after a brilliant second-half fightback from Wolverhampton Wanderers in the English Premier League. Willy Boly, Raul Jimenez and Helder Costa scored in the final 18 minutes for Wolves to cancel out Harry Kane's opener and leave the scoreline at 3-1 to the visitors at Wembley Stadium. Tottenham remain second behind leaders Liverpool, who can go nine points clear by beating Arsenal later. Harry Kane walks from the pitch after his side were stunned by Wolves. 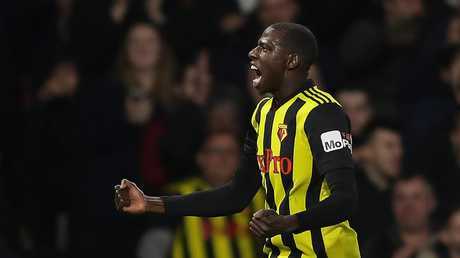 Abdoulaye Doucoure came off the bench to score Watford's late equaliser in a 1-1 draw against Newcastle in the Premier League. Salomon Rondon, back in Newcastle's starting team after being on the bench at Liverpool on Wednesday, hustled Watford's defence all match and his headed goal in the 29th put the visitors on course for a valuable victory in the fight for survival. Doucoure, who came on as a 54th-minute substitute, headed Watford level off Gerard Deulofeu's cross with eight minutes remaining. Abdoulaye Doucoure saved the day for Watford. Brighton boosted their survival chances by beating Everton 1-0 on the south coast. Everton were unhappy with the nature of Jurgen Locadia's controversial winner on the south cost as the Dutch striker had initially been flagged off-side before firing into the roof of the net. However, after consultation between the referee and his assistant, the goal was given as the ball rebounded into Locadia's path via Everton midfielder Andre Gomes. Richarlison hit the post as Everton tried to rally, but they remain in eighth, while Brighton 11 points clear of the drop zone. 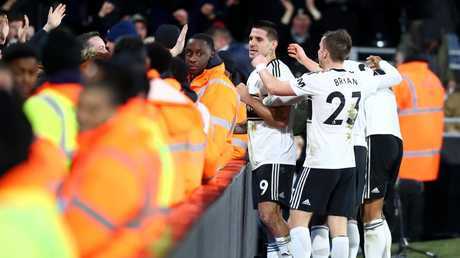 Relegation-threatened Fulham won 1-0 with a stoppage-time goal over fellow strugglers Huddersfield. Fulham remain in the bottom three, but move up one spot to 18th, with Cardiff four points above them in 16th. "If we had to dream this match, it is important to score in the last minute and that is what we did," Fulham manager Claudio Ranieri said. "It was very important for the victory and the effort." The Fulham fans couldn't believe what they'd just seen! Victor Camarasa's stunning stoppage-time strike earned Cardiff a vital 1-0 win at Leicester in the Premier League on Saturday after Neil Etheridge's inspired display. The Cardiff goalkeeper saved James Maddison's second-half penalty before Camarasa struck from 25 yards.